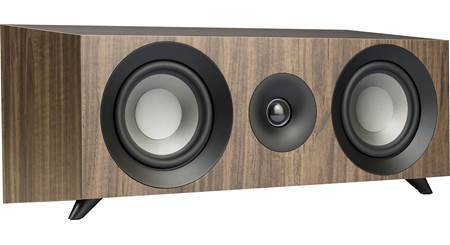 If you're putting together a Jamo surround sound system, consider the S 81 CEN as your all-important center channel. 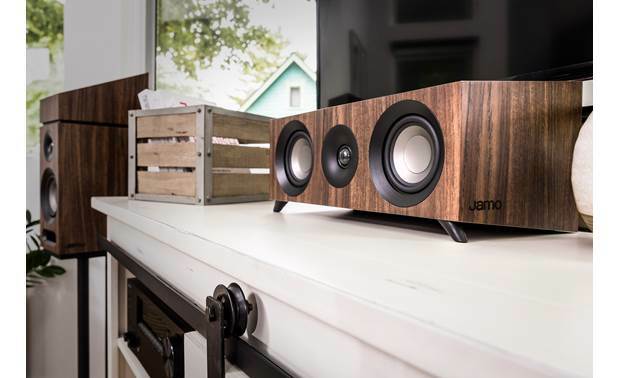 It's voice-matched to Jamo bookshelf and floor-standing speakers, so you'll enjoy seamless, natural sound as the action moves around your room. 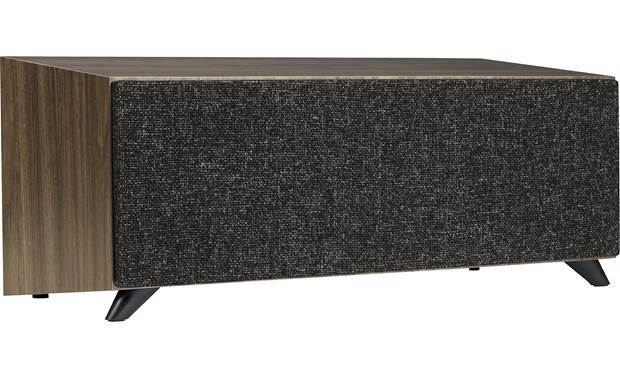 This speaker features two 4" woofers and a 1" soft dome tweeter for clear dialogue and natural-sounding special effects. I especially like how the S 81 CEN looks with its magnetic grille removed — its tasteful wood accents give it a fresh, modern look. 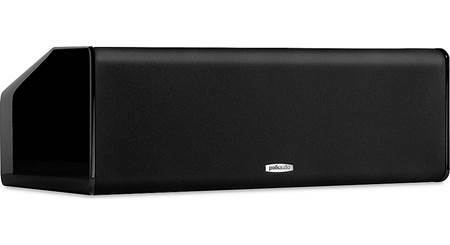 Two-Way Center-Channel Loudspeaker: The S 81 CEN center-channel loudspeaker features a 1" soft-dome tweeter for smooth, refined high frequencies, and two 4" aluminized polyfiber woofers for balanced, musical low end. 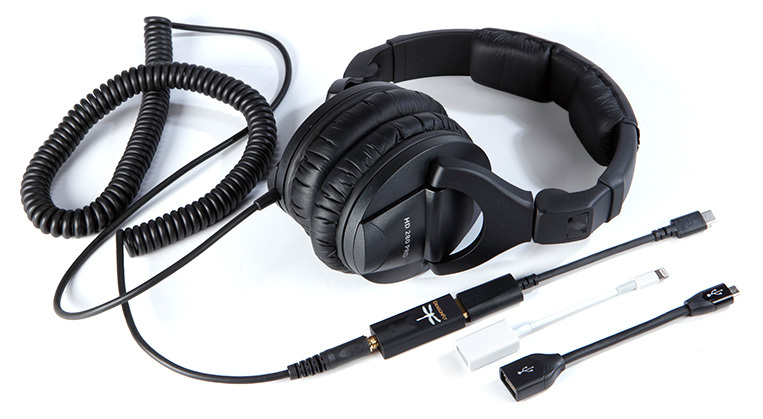 The integrated WaveGuide focuses the high frequency sound for dynamic, true-to-life reproduction, while the rear-firing slot port allows for better low frequency extension. 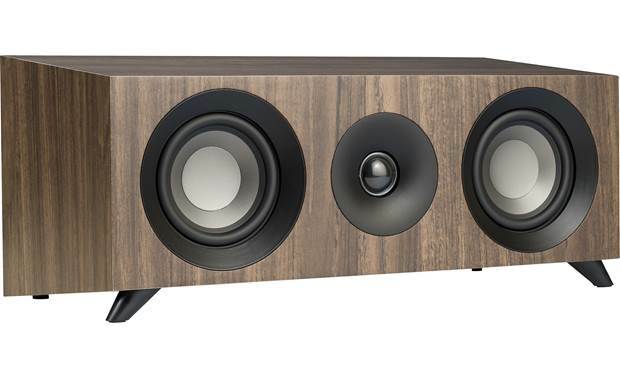 Compact Enclosure w/ Wood Accents: The S 81 CEN is specifically designed and engineered to provide exceptional output and balanced, full sound in almost any application despite it's small cabinet size. 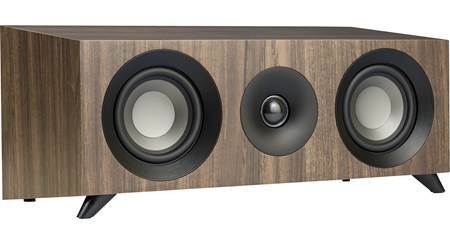 Wood accents give the speaker cabinet a handcrafted, natural look. Magnetic Grille: The S 81 CEN comes with a fully magnetic grille (no mounting holes or push pins) for a clean, minimalistic front-baffle design, while the large woven linen grille cloth features a heavy texture which finishes off the loudspeaker's modern look. 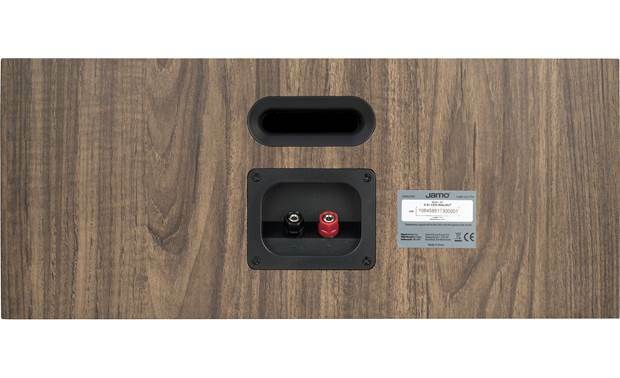 Binding Post Terminals: The center-channel loudspeaker is equipped with a set of binding-post speaker terminals. These binding-post terminals will accept bare wire (up to 10AWG), pin-connectors, spade-lugs, and banana plugs (single only). 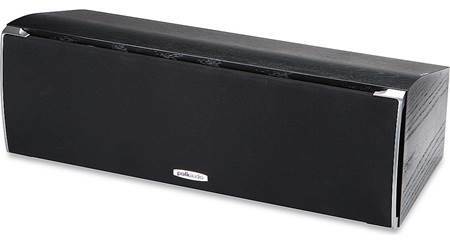 Applications: The S 81 CEN is engineered for clear, balanced dialogue reproduction, making it an ideal center channel for a premium surround sound system. The WaveGuide focuses frequencies in the vocal range directly to the listening area so dialogue is clear, articulate, and realistic, and you never miss a detail. 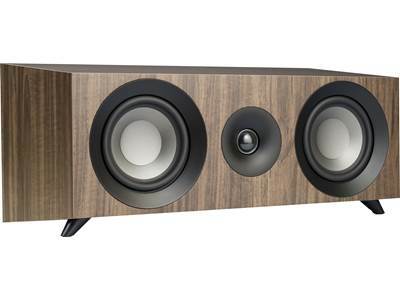 Placement: The Jamo S 81 CEN should be centered below or above your television, and centered with your main listening position. 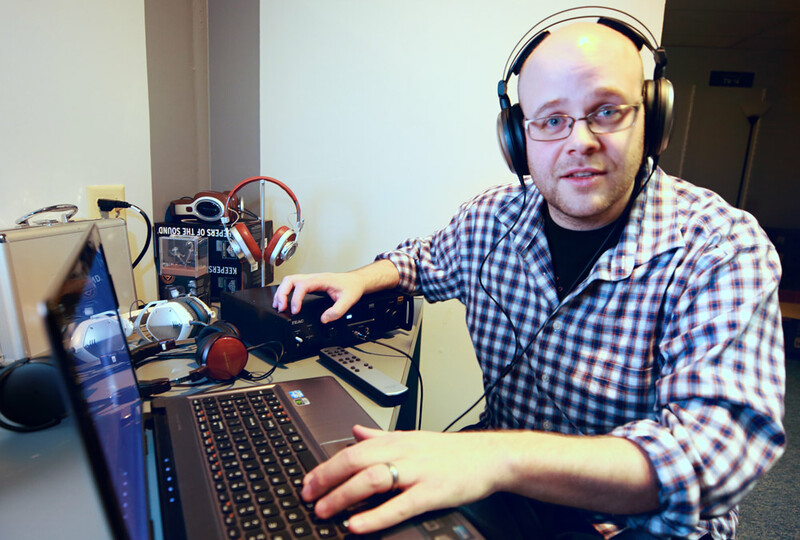 Ideally, it should be the same distance from the main listening position as your front speakers. 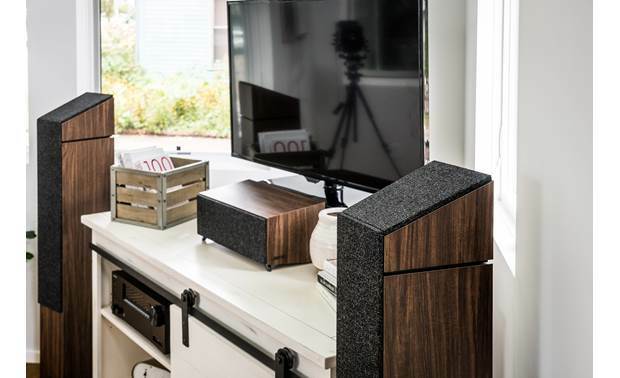 Mounting Options: The compact cabinet of the S 81 CEN allows for extremely versatile mounting options on a table-top, shelf, stand, or piece of AV furniture. Four integrated rubber feet provide a non-slip surface. 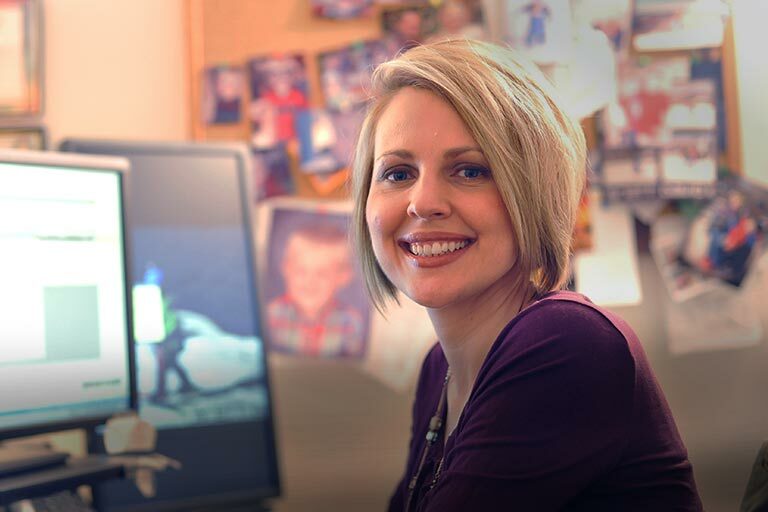 This center-channel is not designed or recommended for wall-mount installations. Searches related to the Jamo S 81 CEN Center channel speaker.